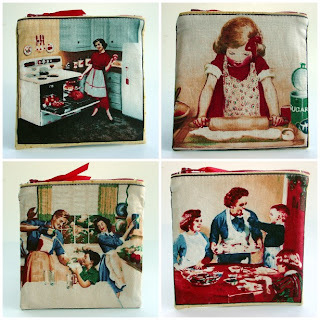 Yay, I have a winner for my "Pouches-A-Plenty" Giveaway! Thank you to all who entered. I have to admit to a bout of hostess stress when I announced it - "What if nobody enters?" 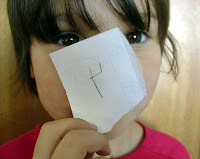 I loved everybody's "P" words, too. They made me hungry and delighted all at once. My winner is Sue! I'll be contacting you so I can send off your prize! It's my "Retro Kitchen" set. Aren't they cute and kitschy? I'll have some more updates later in the week. Thanks again to everyone who entered my little contest!! And so is your randomizer. Yippee, I won!!!! I can't wait to hear from you and get my hands on that little pouch, I am so happy and so greedy. Seriously, thank you so much, I really am thrilled to have won. Awesome prints for your pouches (and I LOVE the round one)!